We know how anxiously you were awaiting the Samsung Galaxy Note 8 India Launch. And now, you can avail this phone at a price of Rs. 67,900. Samsung Galaxy Note 8 was already in news because of its unique Infinity Display feature and dual camera setup. The South Korean company, Samsung unveiled this beauty on 23 August 2017. 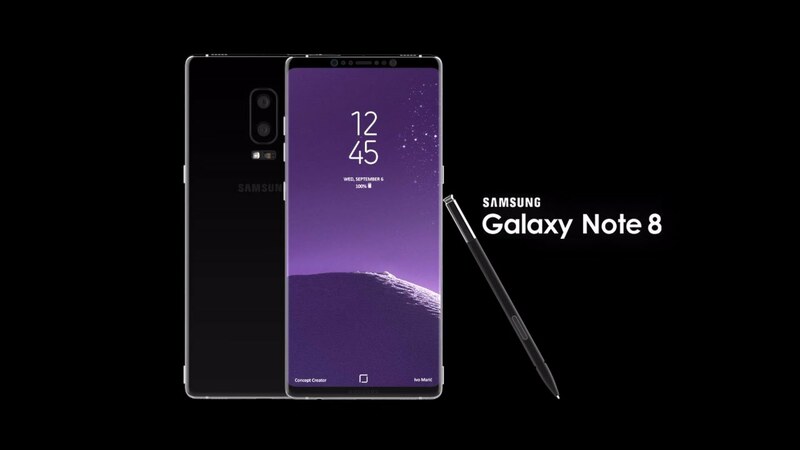 And finally, the company has announced the Samsung Galaxy Note 8 India Launch at an astonishing price of Rs. 67,900. The 6.3-inch phone is available in catchy Maple Gold and Midnight Black tones. Galaxy Note 8 features a screen resolution of 2560 x 1440 pixels and aspect ratio of 18:9. Running on octa core Exynos 8895 processor, the phone has 6GB RAM and 64GB internal storage capacity along with a durable battery of 3,300mAh. We won’t like to see a single scratch or mark on this gadget after spending a fortune on this smartphone. That’s why to retain its awesomeness for a longer time, you must keep some accessories such as covers, and screen protectors handy. The smartphone showcases a dual rear camera of 12MP accompanied with phase detection autofocus and 4k video recording support. These two camera lenses sport optical image stabilization and provide 2x optical zooming feature. The front camera bears an autofocus camera of 8MP having f/1.7 aperture and auto HDR support. Let’s not forget about the star of the show, S-pen that is updated with several software functions. Galaxy Note 8 will have Android 7.1.1 and the users can spot a Bixby button on its side. However, the company reports suggest that its Bixby voice will be seen in S8 and Note 8 from October 2017. Though the phone bears a price tag of Rs. 67,900, it will further include AKG headphones, clear case, micro USB to Type-C adapter, and Type-C to USB adapter in this price range only. The users can avail this smartphone from Amazon India and authenticated physical stores from 21 September 2017. Yes, it’s just a few days away! So, are you feeling excited about the Samsung Galaxy Note 8 India Launch? If you’ve already decided which of those two color tones you’ll be going for, let us know in the comments section below. Hi, I am glad for your post. I got a lot of information about this smartphone in your article. Same time I catch some exact information about Samsung Galaxy Note 8 Specs. Thanks for your information.